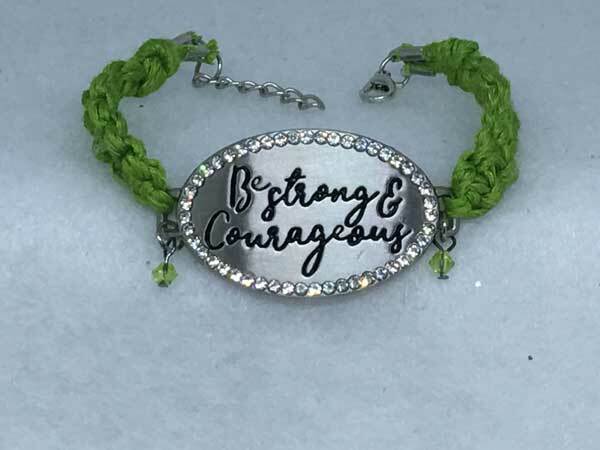 BE STRONG AND COURAGEOUS is complimented by chartreuse hemp cord. The metal connector is beautifully bordered in rhinestones but I went ahead and add two more bicone crystals that coordinate nicely with the cord for a bit more sparkle! The addition of chain at the lobster-claw closure, allows the length to vary from 6.5 to just over 8 inches.